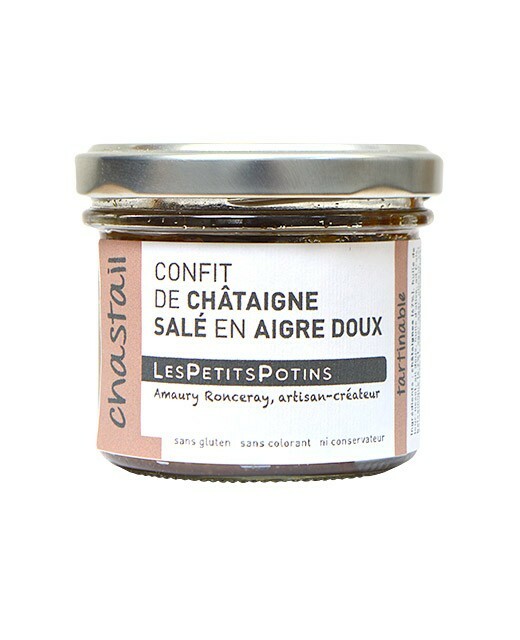 An extremely original and surprising sweet-and-sour confit made of chestnuts subtly blended with both sweet and fresh garlic. Ideal served as aperitif or starters, spread on some toasted bread. Chesnuts (67%), sunflower oil, sweet garlic, olive oil, fresh garlic, balsamic vinegar (4,2%), chili. This confit is ideal served as aperitif. To be savoured spread on some toasts or on slices of cereal bread.